Honda is one of the famous Japanese carmakers with business interests all over the world. In India, the company offers some excellent cars like Brio, Amaze, City and Mobilio among others. Honda had introduced a premium hatchback named Jazz earlier. However, poor customer response to the car prompted the maker to withdraw it from the market. However, the company has decided to bring back the hatch. Accordingly, the new Honda Jazz is being readied for launch on 8 July 2015. 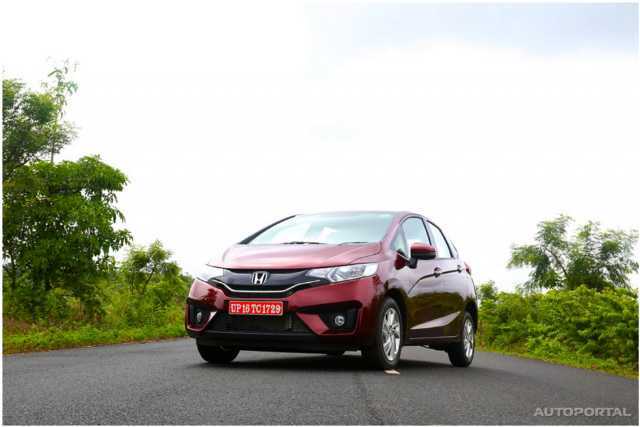 Honda has ensured that the Jazz is competitively priced and positioned in its second innings. As such the price will be between INR 4.5 lakh to 7.1 lakh rupees. Although the exact price is not available as of now, it is expected that the on road price will not go beyond 8 lakh rupees. This is because in its earlier iteration, the car failed because of poor pricing and positioning. This time around, the maker will ensure that the car benefits from the competitive pricing and better positioning. Although it is rumored that the price of new Honda Jazz would be between INR 4.5 lakh and 7.1 lakh, the on road prices would vary according to the location. However, in spite of everything, it is evident that Honda is able to offer the Jazz at a competitive price because of the localization. It is reported that the new car is carrying up to 90% localization, which has enabled the company to bring down the costs and pass on the benefits to the customer in the form of slower prices. New Honda Jazz is likely to be offered in five variants – E, S, SV, V and VX – like its bigger sibling Honda City. The new car will run on the tired and tested 1.2-litre i-VTEC petrol engine, which is currently on duty on the cars like Amaze and Brio. This engine can generate a maximum power of 90 bhp and a peak torque of 110 Nm. The diesel variants of the new car will have a 1.5-litre i-DTEC diesel unit, which is able to generate 100 PS of power and 200 Nm torque. The petrol variants will get either a 5-speed manual or a CVT with paddle shifters. The diesel variants will be come with a 6-speed manual transmission. The mileage expected is 27.3 kmpl for diesel and 19 kmpl for petrol. The features offered include a 15.7cm touch screen AVN system, adjustable rear headrests, automatic AC with touch controls, paddle shifts (CVT only) , steering wheel mounted hands-free telephone control, fabric upholstery ,electric folding OVRMs, multi-view rear parking camera, ABS with EBD and Driver and passenger airbags, to list a few. Tune in to Autoportal India for the latest updates, including on-road prices.